Your winter wonderland awaits in the heart of the Midwest. Chicago offers family fun activities and many that are free. Gather your gloves and scarves and put on your heattech thermals to enjoy winter fun. Have you longed to spend Christmas at a German market? Save your airfare and head to Chicago. 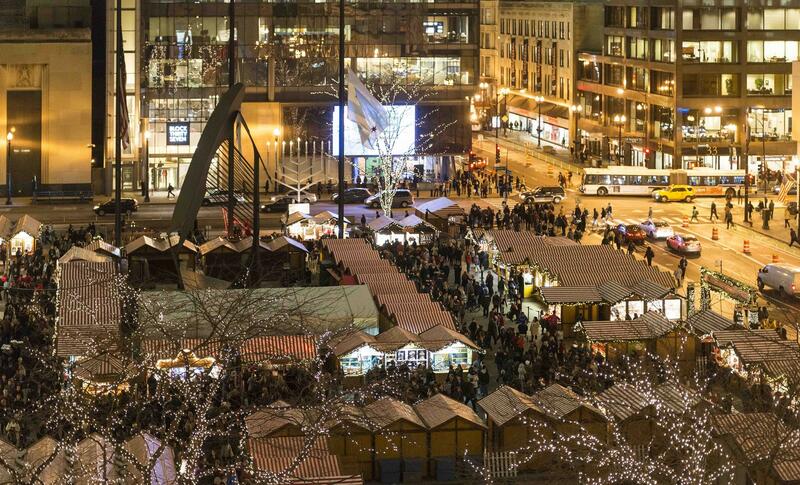 The Chicago Christkindl market has delighted residents since 1996. German vendors come to the city each year with wooden toys, nativity scenes, and other specialty items. Don't let the cold deter you. Have a glass of gluhwein in a collectible mug along with a traditional brat while the kids visit Santa's house. The Christkindl market is open November 18th through Christmas Eve. Admission is free. 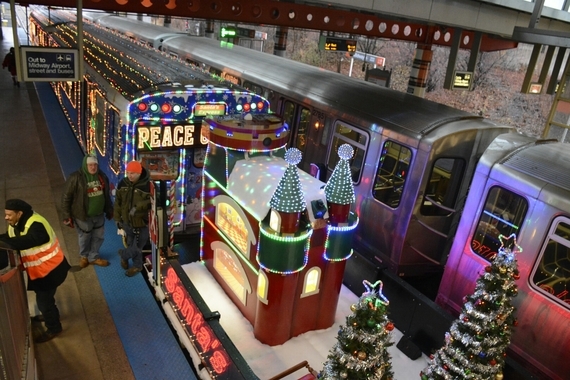 Santa and his elves make special trips on the Chicago Transit Authority's (CTA) train and bus. Each year, the holiday train makes several trips on all of the CTA's transit lines from the day after Thanksgiving to December 23rd. 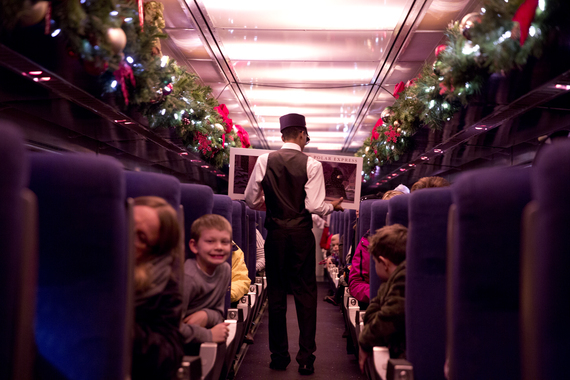 For the price of regular CTA fare, you and the kids can enjoy Santa and his elves on board the train. There is also the CTA holiday bus, which is a cozy experience with Santa and his helpers complete with a fireplace. Sure to get the bah humbug out of the grumpiest Scrooge. The beloved movie comes to life in this magical ride. All aboard the Chicago Union Station's Polar Express. Wear your pajamas and get ready to sip hot chocolate and sing carols. This is fun for kids of all ages. The former Miegs Field has turned into a beautiful nature preserve. In the winter, when there is enough snow, residents can dog sled and snow shoe trek the island on Polar Adventure Days sponsored by the Chicago Park District. Admission is free! Let it snow, let it snow! Chicago's Lincoln Park Zoo becomes a winter wonderland with Zoolights. It is a feast for the eyes that decorates the city's skyline and adds beauty for drivers on Lake Shore Drive. Most Chicago Park District's ice rinks are free with the exception of skate rental. The outdoor ice rinks offer fun for all of us dancing to our inner Linus and Lucy. However, the newest outdoor skating facility will delight all. Maggie Daley Park's Skating Ribbon is a must not miss. "The skating ribbon is dramatically different from typical civic ice rinks, creating a multisensory activity that is integrated into the landscape. Skaters can experience "alpine in the city" as they lace up their ice skates and follow a path twice the length of a lap around a traditional skating rink."